Her path to becoming its protector, though, was a winding one. Chadwick studied philosophy at Barnard College—despite the pleas of her shipping-executive father, who wanted her to study something more useful, like economics—before becoming a journalist and, eventually, landing back home as the art critic for the Houston Post, a job she held until the paper abruptly shut down in 1995. She returned to Houston in 2014, after more than a decade away, and ran into an old neighbor she’d known growing up in Riverbend, Frank Smith. 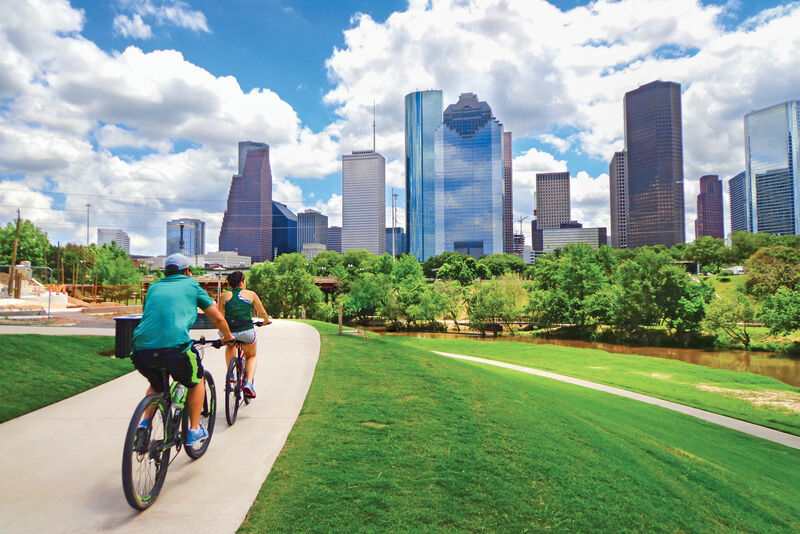 Smith was one of a crew of Houston environmentalists including local legend Terry Hershey who, during the 1960s, fought the flood control district’s plans to pave over the banks of Buffalo Bayou alongside Memorial Park, and won. I just wanted to save the river. I felt like I couldn’t let them kill it. We have this beautiful, thoroughly living river, and it’s a magnificent thing. More than half a century later, Smith was back at it, fighting over proposed changes to that same stretch. Scientists had learned some things since the ’60s—in particular, that concreting over portions of Houston’s bayous had been a mistake, as it caused water to move more quickly and forcefully, creating problems downstream. Now, however, HCFCD officials had another plan. Having concluded that the sandy natural banks of the bayou were unstable, they wanted to use a controversial method of river restoration called “natural channel design” to fix them, in a $6 million project backed by the City of Houston and the River Oaks Country Club. 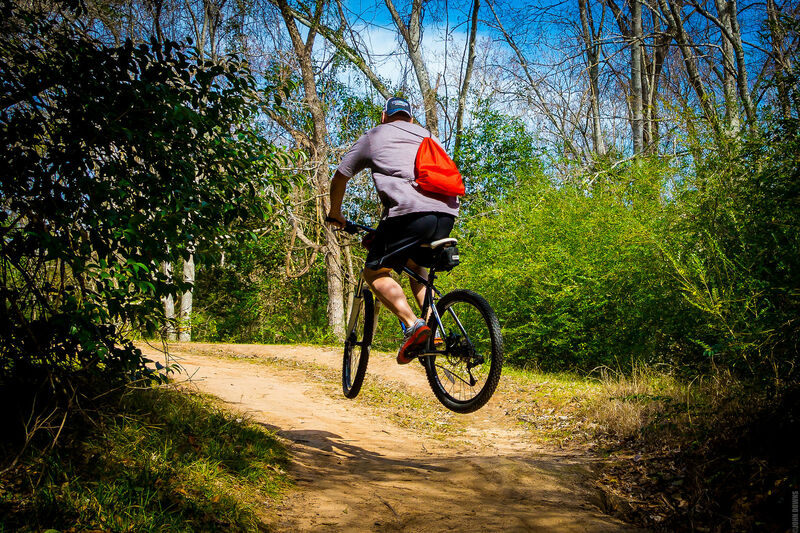 The proposed Memorial Park Demonstration Project would peel back the banks of the city’s last remaining un-channelized portions of the bayou and lay in stacks of logs, locking the embankments into place. Flood control engineers maintained that the rebuilt banks would better handle water rushing down from the Addicks and Barker reservoirs during a major flood. But opponents including Smith insisted that the bayou banks were fine as they were, that in fact, if a big rain event followed too closely on the project’s heels, water released from the dams west of the city would blow out the entire structure, leaving the banks naked, crumbling, and in need of paving over. Chadwick reacquainted herself with the waterway on foot and by boat, reading everything she could get her hands on and calling up experts across the country with her questions. 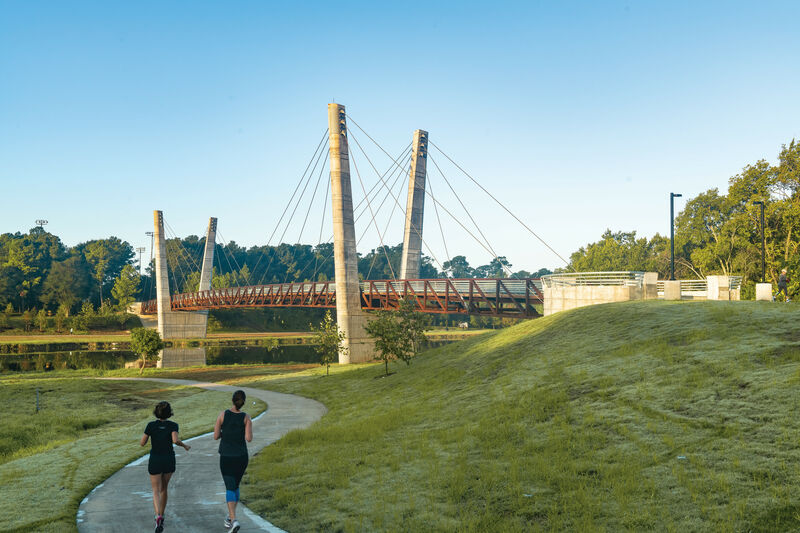 She began to write regular posts at SaveBuffaloBayou.org, delving into everything from the bayou’s history and ecology, to the latest on the Memorial Park Demonstration Project. The approach worked, for a while. Then, in April 2017, three years after the application was submitted, the U.S. Army Corps of Engineers quietly granted the required permits. Chadwick had lost. 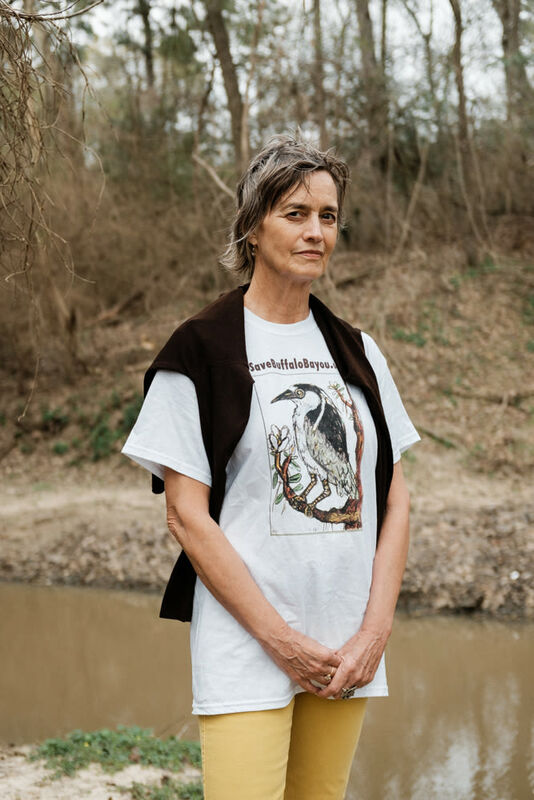 She churned out more posts warning of the fallout that would result when the bulldozers started to cut away trees and plants that had held the bayou together for countless years. But before things got started, Harvey swept in, sending millions of gallons of rain thundering down Buffalo Bayou and causing water to bubble up and over its banks, including, of course, the ones alongside Memorial Park that had been declared unstable. Yet these fared better than other portions: While messy, with downed trees and embankments that had tumbled into the water and downstream, the unaltered banks soon began to mend themselves. Currently, the Memorial Park Demonstration Project is on the back shelf. The price already had doubled to more than $12 million before Harvey, and now, the banks have changed enough that the county would have to conduct its engineering tests all over again. Chadwick believes the thing is effectively dead.